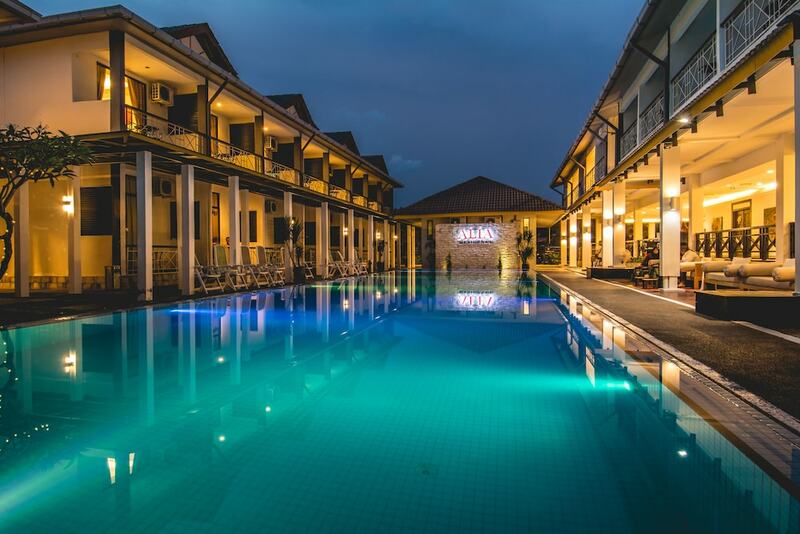 The best value hotels in Langkawi are definitive standouts from the island's hordes of budget hotels, chalets, hostels, and dorms, each offering a winning combination of smart lodgings, great beachside views, ample dining options, and easy access to Langkawi’s must-visit locales. Langkawi is well-regarded as a shopper’s paradise, where visitors can purchase cigarettes, liquor, chocolate, alcohol, luggage, sports shoes, perfumes, and household items at duty-free prices. Meanwhile, Langkawi’s pristine beaches offer excellent diving opportunities and a wide range of water activities such as parasailing, jet-skiing, and island-hopping. Most of these inexpensive lodgings are situated along Kuah, Pantai Cenang and Pantai Tengah, which means that you’re never too far from Langkawi’s must-visit attractions such as Dataran Lang (Eagle Square) and Underwater World Langkawi. For a fraction of the price of the island’s exclusive resorts, backpackers and travellers on a tight budget can get a good night’s rest in our handpicked list of Langkawi's best affordable hotels.